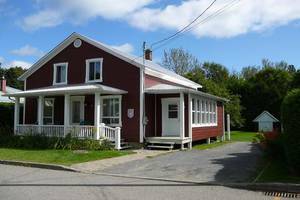 Let yourself fully appreciate the picturesque nature here, or if it’s culture you’re drawn to, spend an afternoon wandering art galleries in Baie-Saint-Paul. Take a mouth-watering tour of all the local products and end the day off at cozy lodgings worth posting about. In colder months, drift among the ice floes in a sea kayak, hit the ski slopes, or even hop on a snowmobile to explore the beauty of the coast and the gems of the backcountry. Drift yourself into a mesmerizing sensory experience in Charlevoix. Charlevoix can be accessed from both sides of the St. Lawrence by ferry: Tadoussac–Baie-Sainte-Catherine from the north shore, and Rivière-du-Loup–Saint-Siméon from the south. 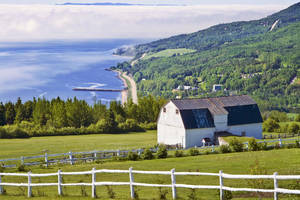 La Malbaie is 145 km from Québec City. Exploring Charlevoix from end to end is an appetite‑awakening experience. Let your taste buds lead the way and stop for a small bite or a heavenly meal at any one of our quaint bistros or grand restaurants. Throughout the region, chefs boldly and creatively exploit the bounty of the land. From lamb burgers with mint and caramelized onion jam to the organic pork ribs at Damien—served with spinach, portobello mushrooms and soft Secret de Maurice cheese—food lovers simply can’t get enough. Thanks to the Route des Saveurs de Charlevoix (Charlevoix Flavour Trail), you can do a tour of the producers, processors and restaurateurs behind our delicious products. Dive head-first into the heart of the countryside. Fill your lungs with the fragrance of with wilderness. Feel the shiver on your skin, let the wondrous sights dazzle your eyes. Fall in sync with this cosmic energy that was born of a meteorite impact 350 million years ago. Charlevoix is quite simply the joy of jumping with both feet into the vastness, light‑hearted and at peace. Charlevoix is brimming with hiking trails, each more exciting than the last. 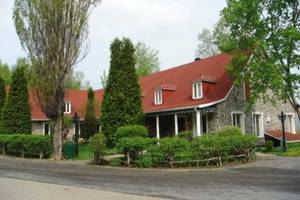 You will be mesmerized by the mountains, the fall colours and the breathtaking views along the St. Lawrence River. Feel the need to clear your mind or recharge your batteries? 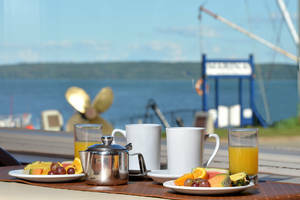 Charlevoix offers an endless array of activities to disconnect, entertain yourself or celebrate. Between hopping music festivals, inspired shopping, summer theatre, hot performances and concertos under the starry skies, there’s plenty to thrill and surprise you all year long! Joie de vivre is built into the Charlevoix DNA. When you consider that Baie‑Saint‑Paul was the birthplace of Cirque du Soleil, you’d swear that creativity is in the very air that locals breathe. Every winter, Charlevoix is covered in a generous blanket of snow. High on its white slopes, ski aficionados are at their happiest, knee‑deep in powder, tuques pulled down over their ears. 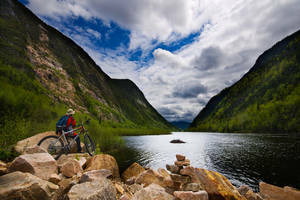 The Nordic experience can be had on the highest peaks or on the rocks, on a wild luge ride or while practising extreme kayaking between the ice floes on the St. Lawrence. Owing to its geographic location, Charlevoix receives an average snowfall of five metres (about 16.5 ft.) per year.